The market has started for a while, and private equity has only recently begun to feel the improvement of the fundraising environment. Subject toPerformanceStimulating, stock bullish strategy sales are more prosperous, and star private equity products are particularly concerned. A-shares recovered, and the major indices in the first quarter rose by more than 20%. Private placement network latestresearch reportDisplay, stock strategy private placementfundThe index's first-quarter yield reached 18.47%, and 94% of the products received positive returns, the best quarterly performance in the last three years. However, private equity sales have been lagging behind, and it has only begun to pick up after late March. Wang Yuanyuan, a wealth researcher at the grid, pointed out that although there were some purchases in the first two months, due to the widespread losses of investors last year, the rapid rise made investors think of “returning to the original”. The latest data shows that the inflection point appears. "The number of private equity products filed in March doubled from February, and product launches and funds entered the market." 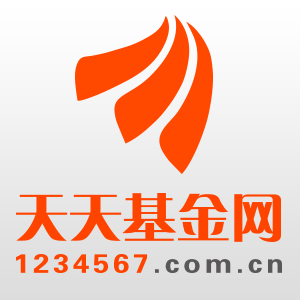 Chen Xiaotong, product manager of private placement network, said that in addition to the significant increase in the circulation of new products, the old product holdings have also improved significantly compared with last year, and stock strategy products are favored by high net worth customers. She analyzed that investing in old products saves time and loss such as the establishment of filings, and the old products are mostly operated at high positions, and the utilization rate of investors is greatly improved. Qinghequan Capital said that the market is warming up, investors' attention to stock-based products has increased, and the company has promoted both in product holdings and new launches, and the fundraising situation is not bad. A three-party sales person told reporters that the private placement of the stock strategy is better to sell. This year, the index has risen very well, but investors feel that the active type has excess returns. “Some people drive better than driverless,” so active products are sold. better. Zhu Yilong introduced that index-enhanced and ultra-long-term value investment strategy funds are investors with high attention. He analyzed that index-enhanced products have good liquidity and stable excess returns. In the fast-starting market, they are among the few strategic categories that can surpass the market index. Wang Yuanyuan pointed out that the market's appeal for "star products" is higher than last year. The stock market performed well and the bond period was average. Investors were more concerned with subjective stock strategies and quantitative strategies. The quantitative strategy is concerned because the current judgment on the market trend has diverged, the stock market volatility has intensified, and there is more arbitrage space. The head of the private bank of a large commercial bank in South China said that it is still the main product of the star private equity. First, the performance is relatively stable, the retracement is smaller than the market average, and the upside is relatively large. Second, the foundation of long-term cooperation has been established. The company has standardized and knows the truth. And the name is big, sales are easier. The sales of private equity products are picking up and cannot be separated from the channels. The reporter learned that the size of a good small private equity in Beijing has increased from 1.3 billion to nearly 2 billion this year. Its marketing director told reporters that the scale growth was mainly from the continuous marketing subscription of large channels, and a large bank and brokerage channel sold more than 200 million. “The sales market has rebounded significantly since March. In the first two months, our products only sold 10 million in one bank, but bought tens of millions in the next month. Last year, a big line pushed, the best month only sold 5000. Wan. There are more roadshows recently, and this year I mainly do continuous marketing." In addition to the strength of the stock bulls strategy, there are also private placements that will broadly explore product space and provide customers with more choices. The person in charge of the market expansion of the above-mentioned brokerage business department said that it would explore the cooperation of unknown small private companies. "We are now doing FOF ourselves, and we choose some private placements that are difficult for customers to access, and they all have potential." The above-mentioned three parties told reporters that they will further strengthen cooperation with the original institutions. Although the market has experienced many declines in recent years, the results are good and in line with expectations. "Our sales don't care about the size of private placements, mainly in line with our 'aesthetic'." He said that private equity is the most important way to look at their investment methods, not to earn emotional money, but to earn fundamental money; Private placements with too high a lottery rate hope that the overall position will be longer. Although the length of the position is not a measure of value investment, it is definitely not a value investment. "We mainly choose private placements with low turnover rate and research fundamentals. In addition, we also pay attention to the company's governance, such as shareholding structure, team members, etc. The scale of private placement will also be seen, not to exclude small private placements, but the scale is too small. No." Zhishun Investment revealed that many customers now want to know the product purchase threshold or the requirements for the establishment of special products. The company currently has 3 products and plans to release 3 new products in the near future. However, there are also private placements, the current sales recovery is not large, and there is still a certain lag compared with the market. I hope that as the market continues, I will catch up with the sales in 2017. The aforementioned director of Beijing's excellent small private equity market also said that the amount of product subscriptions was still very small in January and February, and began to increase in March and April. He analyzed that although the market has been rising in the first two months, the customer has not returned since last year's loss. After returning to the book in March, he began to want to buy products. Under this kind of psychology, the amount gradually increased, mainly following the market, and the market is gradually becoming active. A 10 billion private equity market in Beijing revealed to reporters that this year's performance has increased, but until now, there has not been vigorously carried out new product launches and continuous marketing, mainly in terms of sales, and have not felt a particularly obvious recovery. A private equity source in Shenzhen said that it has indeed increased some amount. The situation is much better than that in 2018, but there is still a gap compared with 2017, which is not as good as it was imagined. "The main reason is that in 2018, it was hurt too deeply. In 2019, it just picked up. Investors' emotions are slowly coming up, and sales are lagging. It is expected that sales this year will be better than 2017. When we sold more than 10 billion, we look forward to the future. Increment."